Ships tomorrow if you order in the next 18 hours 48 minutes. 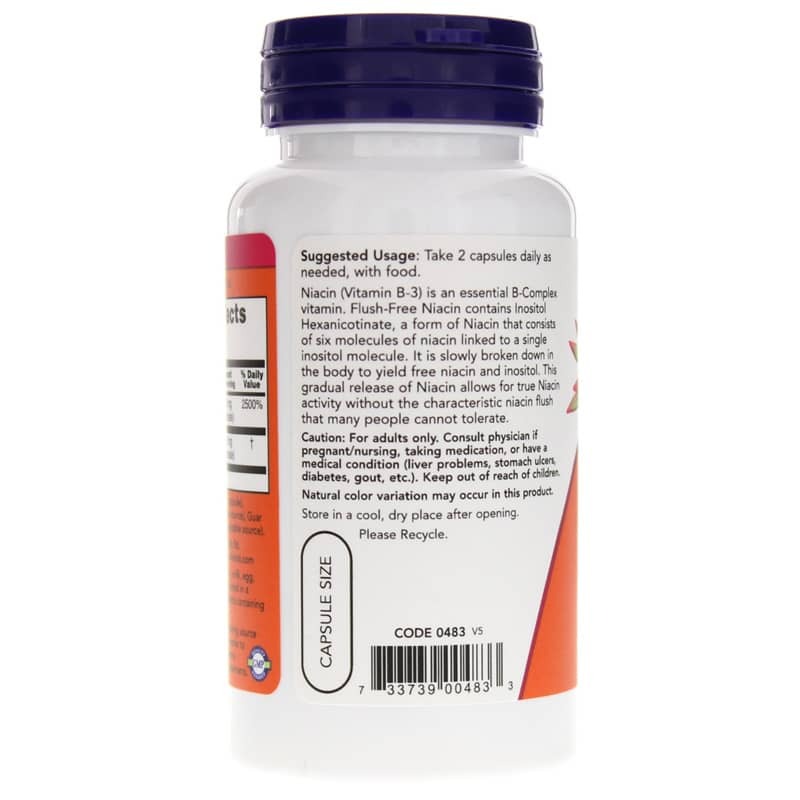 Flush Free Niacin by NOW is a natural niacin supplement that contains vitamin B3 niacin for heart and overall health support. Niacin (Vitamin B3) is an essential B-vitamin necessary for good health. Many Niacin supplements cause a temporary Niacin flush or tingling red rash on the skin when taken in large doses. 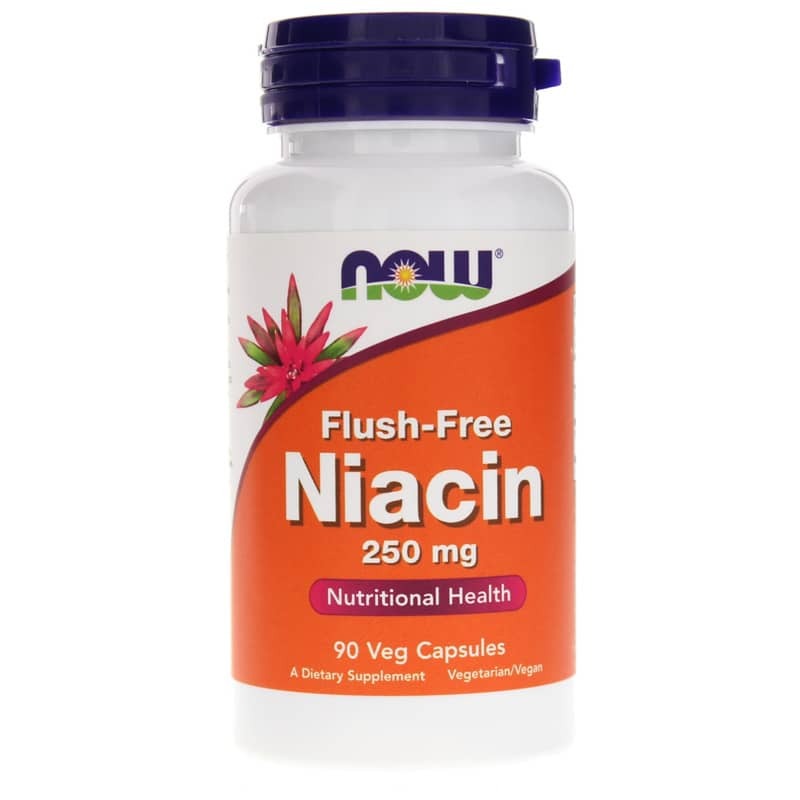 This flush-free Niacin is formulated to avoid such reactions. Inositol Hexanicotinate is a stable, non-flushing source of Niacin. 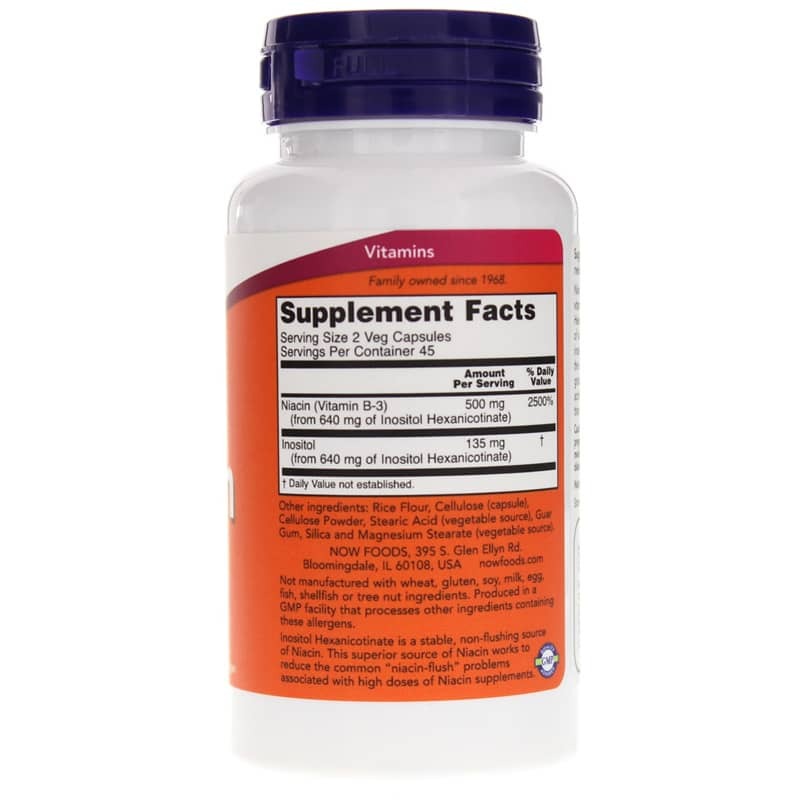 This superior source, and lower potency, of Niacin works to reduce the problems associated with mega doses of Niacin supplements. Other Ingredients: rice flour, cellulose (capsule), cellulose powder, stearic acid (vegetable source), guar gum, silica and magnesium stearate (vegetable source). Vegetarian/Vegan. Adults: Take 2 capsules daily as needed, with food. Caution: Not to be used by pregnant/lactating women or those with liver problems, stomach ulcers or diabetes unless recommended by your healthcare practitioner. For adults only. Consult physician if taking medications, or have a medical condition. Keep out of the reach of children.